Holly Daugherty is the granddaughter of the founder of Joyful Manna Ministries. 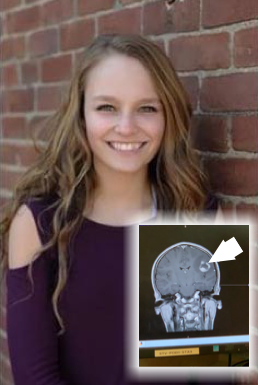 On Wednesday, April 17th, 15 year old Holly is to undergo surgery for the removal of a brain tumor. Please pray for her. Take a look at the snapshot on this page of a Facebook post from her grandfather, Phil Ping. Holly is 15 years old. She is a Freshman at Crosspointe Christian Academy. 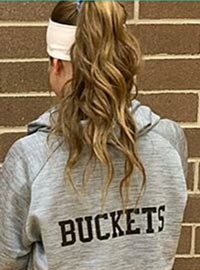 She is a varsity starter for basketball and JV team captain for volleyball. She is incredibly talented and smart, but most importantly Holly has the sweetest, most caring spirit you could ever meet. Everyone loves her. She loves the Lord and is fully trusting in Him through this. The bracelets were a fundraiser started by Holly’s friends and team mates from school (Ben and Lhondon) to show support for Holly and especially to remind people to pray for her. My daughter, Madison started a page on Instagram for her called #strongforbuckets and they used that reference on these bracelets along with the Bible verse reference on the back. With a $2.50 donation, one can be mailed to an address. If people would like to order a larger amount and sell them for her that would be wonderful as well. We didn’t ask for any of this, but are appreciative of everyone’s support for our family at this time. Her surgery is scheduled for April 17th. The tumor is in very close proximity to the cortex of the brain that controls speech, facial muscle control, language skills, emotions, and motor skills. We are praying that none of these are affected by the complete removal of the tumor. Why is the hashtag on Instagram and on the bracelet #strongforbuckets? 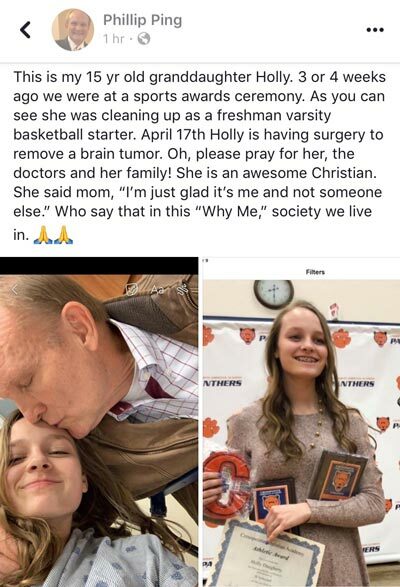 Praying for you Holly! I’ve only played you in basketball, but you are so sweet and pretty! I pray that the Lord will help you through this, and if you ever need anything just dm me! I hope the surgery goes well! Hey buckets, it’s your favorite country kid. Just wanted to let you know that God’s hedge of protection is going to be around you through this all. I’m praying for ya sister!!! !